Ca tru (ceremonial singing) troupes from 13 cities and provinces nationwide will participate in the National Ca Tru Festival 2018 in the north-central city of Ha Tinh, Ha Tinh province, from November 1 to 5. The festival will be held by the Department of Cultural Heritage at the Ministry of Culture, Sports and Tourism in coordination with the Vietnam National Academy of Music and the Ha Tinh Department of Culture, Sports and Tourism. Troupes will perform classic Ca tru songs and typical songs from each area to show their unique style. Troupes attending the event are from Hanoi, the northern provinces of Hai Duong, Hai Phong, Hung Yen, Thai Binh, Bac Giang, Bac Ninh, and Phu Tho, the north-central provinces of Thanh Hoa, Nghe An, and Ha Tinh, the central province of Quang Binh, and Ho Chi Minh City. The festival is an opportunity for artisans, artists, and actors to meet and exchange experience and help raise awareness in the community about the cultural heritage of Ca tru while encouraging those with a passion for the singing. It also expresses Vietnam’s efforts in fulfilling its commitments with UNESCO on the protection of world cultural heritages and the preservation and promotion of Ca tru as an intangible cultural heritage. 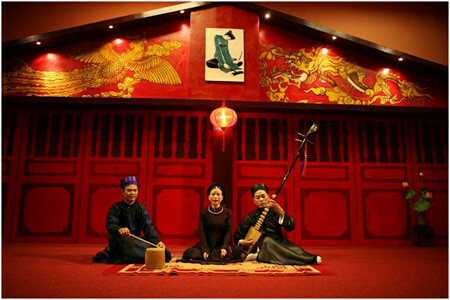 Ca tru was recognized by UNESCO as a world Intangible Cultural Heritage in Need of Urgent Safeguarding by UNESCO in 2009 and is one of the most uniquely Vietnamese genres of folk music in the country’s treasury of traditional music. It features a female singer accompanied by a small group of musicians and is a complex form of poetry found in the north of Vietnam using lyrics written in traditional Vietnamese poetic forms. The genre appeared in the north around the 15th century and thrived until the early 20th century. It has since lost popularity to modern forms of recreation and cultural activities.